In the context of the Mid Term Evaluation of CLARIN-NL a demonstration event will be organised on Wednesday September 4th 2013 for all CLARIN-NL projects. Members of the International Advisory Panel will be present to evaluate and assess the progress that has been made thus far by CLARIN-NL. From each project two researchers will be required to attend this event and to give presentations and demonstrations of the results of their projects. From Utrecht Central Station walk to Dom square or, alternatively, take the bus to Janskerkhof and walk from there. You can use www.9292ov.nl to plan your journey. 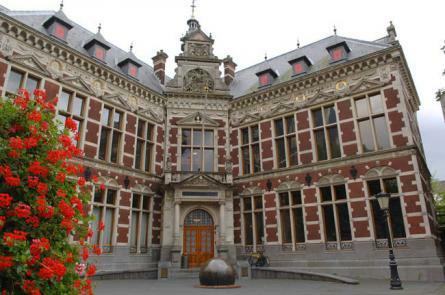 The demonstration event will be held at two locations at the Academiegebouw. The Kannunikenzaal can be most easily reached via the back entrance in the 'Achter de Dom' street at number 7A. Please find the small medieval tower of the Helios Faculty Club, ring the bell and take the stairs to the first floor. Participants with presentations in session 1 are kindly asked to prepare there posters and demos before the start of the demonstration event. They can access the Maskeradezaal most conveniently through the main entrance of the Academiegebouw. Signs will be posted at the Academiegebouw to give directions.